On November 28, Haitian voters are supposedly going to vote to choose a President, 10 Senators and 99 members of parliament. These general elections, as many politicians and experts expressed, are crucial for Haiti’s political future, and for the rebuilding process on the aftermath of the Jan. 12 7.0 magnitude earthquake. The uncertainty that plagues over these elections can comprise the legitimacy of the elected President, Representatives and Senators from these forthcoming elections. On July 28, supporters of Fanmi Lavalas (FL) demonstrated in front of the U.S. Embassy in Haiti to demand the U.S. Government to not fund the November 28 Presidential and Legislative Elections “We come here today to question the behavior of the U.S. government. We’re asking if they will continue to finance the exclusion of Lavalas by the CEP,” said Lionel Etienne, a former Fanmi Lavalas congressman. The dubious exclusion of 15 political parties, amongst of them Fanmi Lavalas (FL), created concerns regarding the credibility of Haiti’s Provisional Electoral Council to organize fair, transparent and democratic elections for the country. It must be noticed that FL is widely seen as the Haiti’s largest and most popular political party. While the United States is preparing to spend millions of dollars in the Haiti’s 2010 Presidential and Legislative Elections, Congresswoman Maxine Waters along with other 44 U.S. members of U.S. Congress, warned the U.S. Government to push for fair, democratic and transparent elections in Haiti. The members of Congress also stated that the exclusionary elections would be to deny the right to vote to majority of Haitians who are eligible to vote. The exclusion will undermine both Haitians’ right to vote and the resulting government’s ability to govern.” In addition, the members of Congress recalled a previous CEP decision to exclude Fanmi Lavalas, and the Haitian Voters boycotted the 2009 Senatorial Elections. “A previous CEP, with many of the same members, also excluded Fanmi Lavalas and other parties from Senatorial elections in April 2009. Haitian voters boycotted, and most observers estimated a 3-6% voter turnout,” stated the members of Congress in their letter. In a July 22, 2010 report addressed to members of the U.S.Senate Committee On Foreign Relations, Rep. Senator Richard G. Lugar, a Ranking Member of this committee,criticized the Haitian President Rene G. Preval for not responding to amounted calls to reform the controversial CEP in order to bolster the credibility on the November 28 General Elections. 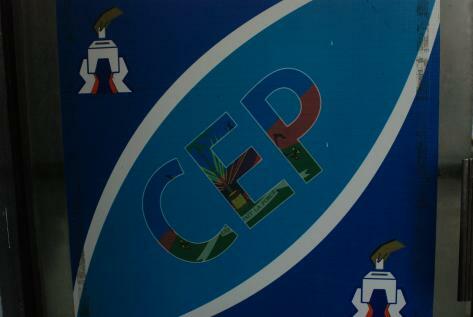 ”Despite widespread calls for President Rene Pre´val to reform the beleaguered Provisional Electoral Council (CEP), in order to buttress the credibility of presidential and parliamentary elections in Haiti, he has refused,”Senator Lugar sated in his report. As the date for the general elections is approaching, Haitian voters do not know who they can count on for their security. The rights of Haitians are being violated whether by their own government or by the international occupation force in Haiti, United Nations Stabilization Mission in Haiti or MINUSTAH. On October 15, UN so-called peacekeepers clashed with a group of nearly 100 anti-UN demonstrators. The demonstration was against the extending UN mission in Haiti for another year. The renewal mission will cost the country $380 million. A Port-Au-Prince-based human rights organization, Bureau des Avocats Internationaux or BAI through a statement, pronounced on the renewal of UN mission and its budget. “Money is wasted on the mission, and protesters want real assistance, not the renewal of … an occupying military force,” said members of the BAI. Wadner Pierre is a Haitian photojournalist who currently resides in New Orleans, Louisiana. Wadner is also a 2010 Justice Revius Ortique, Jr. Internship Award recipient. Originally from the city of Gonaives in Haiti, he regularly writes for the Inter Press Service (IPS) and Haiti Liberte. Wadner is a co-founder and frequent contributor to HaitiAnalysis.com, a media collective of young journalists. In 2007, he was a Project Censored Award recipient for his investigative journalism work on the impact of media and corruption in military policies.